Great price on a top quality firearm. Super fun gun to shoot. Everyone will definitely hear you shooting this, it’s LOUD! So far everything has functioned flawlessly for the first 100 rounds through it. Looking forward to getting a video at dusk of the fireball out of this barrel. 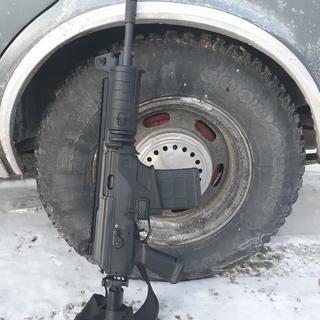 A nice compact .308 milled receiver modernized AK. I was surprised by the light recoil.